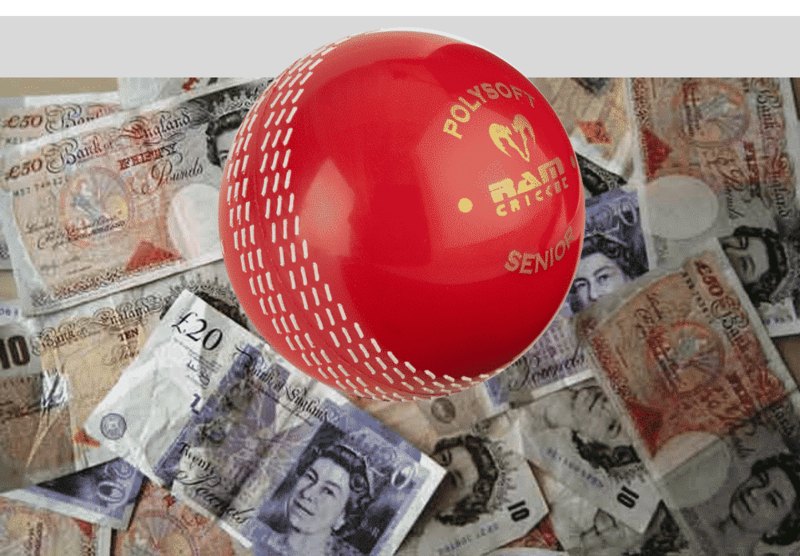 If you have devoted your life to cricket and know every team, every player, and every competition inside and out, but you have little to show for it, then it’s time for a change. In this guide we’ll look at some fun (but not guaranteed) ways that you can turn your knowledge into cold, hard cash. The tipping industry has never been bigger. Every week millions of sports fans all over the world search for up-to-date tips on their favorite sports and entrust their profits to the opinions of self-professed experts. Being well known in this industry is like being an overnight success as a result of a meme or a reality TV show, because one minute you’re in the spotlight and nothing can go wrong, and the next no one can remember who you are. The trick is to be consistent, and if you can manage that then you can become the person that every cricket fan turns to. You can write tips for the many tipping websites out there or you can set yourself up on social media. In the beginning no one will pay attention to you because you need to prove that you’re good at what you do, but the more successful tips that you make, the more trust you will earn, and that trust will remain until you hit a bad patch and start getting everything wrong. The good news is that to be considered a successful tipster you only need to get more results right than you get wrong. That might be easier said than done for most fans, but a true expert in the sport shouldn’t have an issue. If you’ve ever tried to stay up to date with a game that isn’t being shown on TV, then you will have no doubt encountered a live cricket score broadcast before. These are basically real-time feeds that include up-to-the-minute scores in addition to basic information such as run scorers and wicket takers. In the age of social media and streaming, you could be forgiven for thinking that official updates like this are simply not necessarily anymore, but they’re actually more popular than ever, with fans keeping tabs open to receive regular updates as they work, chat or relax. For the most part, these updates are provided by aggregate systems that have some kind of full or semi-automation somewhere down the line. But the best ones are provided by actual reporters as part of major news sites like the BBC. These reporters are tasked with writing fast, accurate updates while also fielding questions through social media. Not only do they need to be observant and quick, but they need to know what they are talking about, because those social media questions can be very testing. And the best thing about these updates, is that most of them are provided by journalists and writers with an in-depth sporting knowledge, as opposed to former players or managers. So, if you can write quickly and without making mistakes, and you have a good knowledge of the game and of social media, you could be the perfect candidate! And if the opportunity to write about your favorite sport isn’t enough to win you over, consider this: most reporters are actually in the stadium watching the game live. After all, a stream can always be cut short due to connectivity issues, and the only way to guarantee an uninterrupted report is to give the reporter a seat in the stadium. The sports betting industry in India is on the rise, with the biggest bookmakers in the world now entering the Indian market to take advantage of the 1 billion+ potential customers. There are big bonuses to take advantage of and countless markets to bet on. Of course, gambling is not a guarantee and there is always an element of risk involved, but it can be a fun way to spend some of your spare change. If you consider yourself a true expert, however, then it’s best to set yourself a challenge to try and win money without spending any. It sounds crazy, but it can be done. Online sports books offer something known as a no-deposit bonus, which basically means that they give you money (a very small amount) to get you started and they don’t require you to deposit. This money cannot be withdrawn until it is wagered reveal times over, but it can turn into real money if you keep winning. And if you really are confident in your abilities as a cricket expert and think you can predict the outcome of games, it’s worth a shot. Just remember, that as soon as you start depositing large sums of money, the bookie has you right where they want you and it’s best to walk away.